We are located in SOUTHEAST INDIANA, the NE is for Natural Equine! Please don’t confuse us with any other School or Rehab-we are definitely ‘One of a Kind’! I have developed all my Rehab and have not Certified anyone else to teach it. 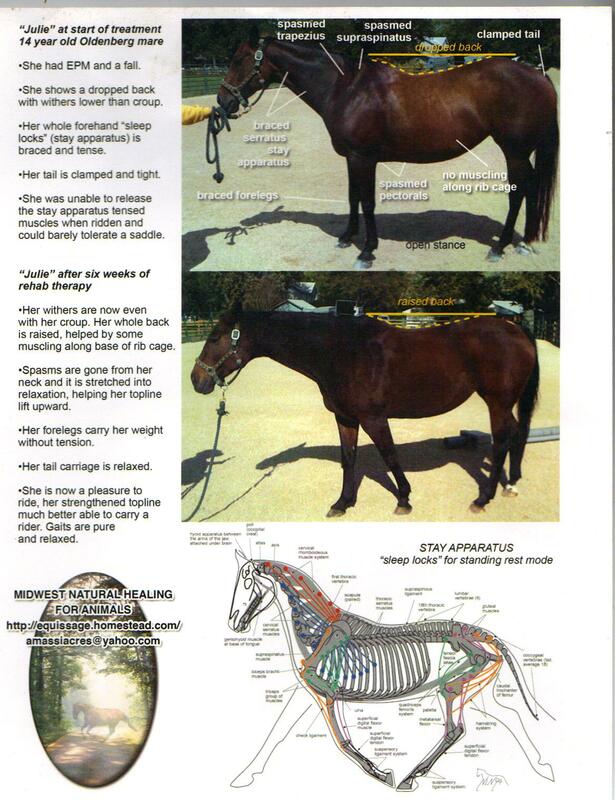 I have developed and proved all my Rehab work with my vet and on many horses. I have, in the last year, added ELI’S CRIBBING RELEASE METHOD to my list of services and training for my School. To help with horses that crib. This Blog is Specifically for My Rehab Therapies-they are an important part of my Classes and Massage Business-and they deserve their own Blog! They have turned around many horses-horses that were deemed-pasture ornaments-because of injury or disease. that I have put together for my students? These are very easy Strategies to learn and to do-and I will help you along the way! Please check all my pages for more info on my Classes. Become part of this-and learn more than you ever dreamed at any class. What started you with the Rehab Therapy? My own horse, Bolero, was diagnosed at 4 yrs old (LATE 1990′s) with severe hock arthritis. I was able to get him sound again in 1 month with Rehab I did on him. I just continued with that, adding extras that I felt would work on horses as I went. Working on horses at the track and having people bring me horses that were ‘not rideable ever again’, proving those saying it- wrong, and getting the owners back on that horse in usually less than 2months! (Read about Monty on my other blog). Once I was able to Rehab several horses, being able to prove these therapies several times-I met Dr. Nicholson. 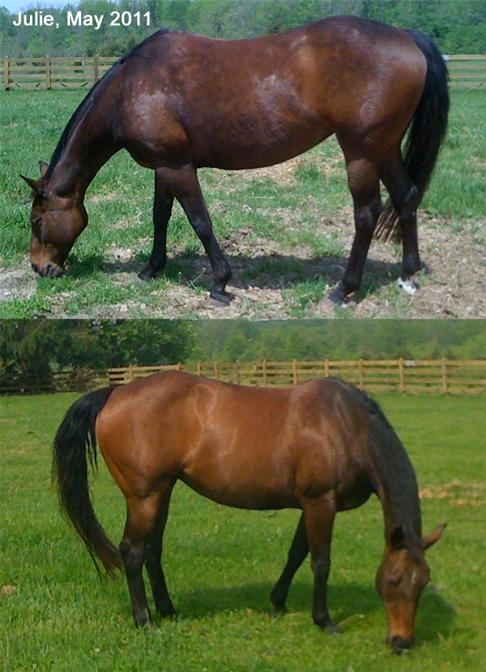 She had a boarders horse that had previously had EPM, and a bad fall (see below-before/after pics of Julie). I showed her the Rehab Therapy, and she was impressed with what I showed her. 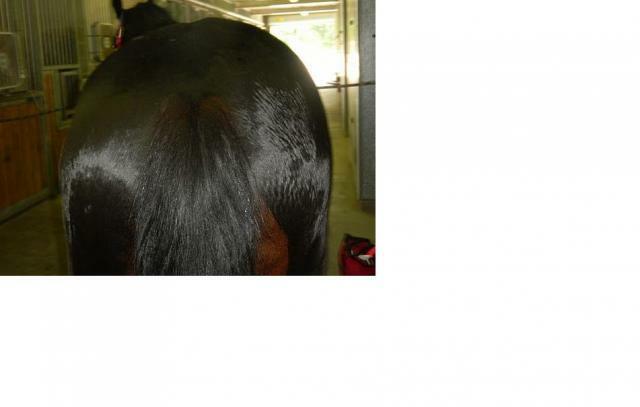 So much so, that she discovered some great under saddle therapies that work with horses that are BTV! 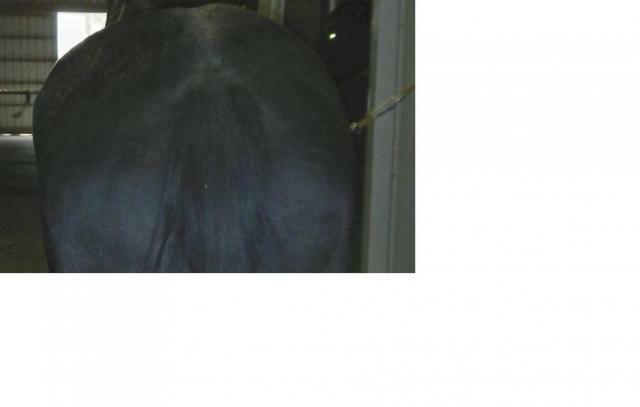 You can see in the pics below-the before/after on the left is from 2009-the one on the right is from 2011-the difference in the horse is amazing! This is Strider, he was injured as a young horse and never used his left hind-This pic on the left is him STANDING SQUARE! pic below is just 6months later! Pic is from a student! She actually came to the class in hopes of helping her own horse to regain better use of her legs and be more comfortable. Not only is she comfortable (after just 9months)but she’s being ridden! I wish you could see the smile on my face right now…so happy that there is hope for my Annie girl! I’ve spent 4 years feeling like my hands were tied and there was no hope for her. I felt like eventually I was going to have to make the decision to put her out of her pain & misery and put her down. I am so grateful to have met you and learned from you that there is hope for these “hopeless” cases!